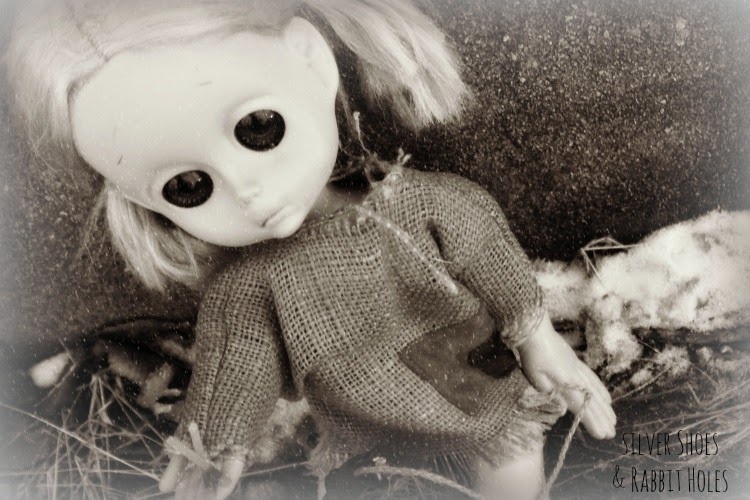 Silver Shoes & Rabbit Holes: Little Miss No Name as "The Little Match Girl"
Poor Little Miss No Name. 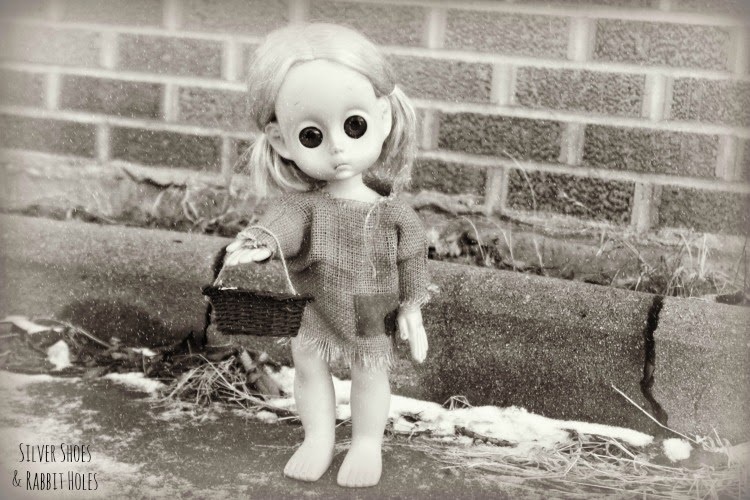 She's such a sad little waif, in her burlap dress and ruined hair. Even without her tear, she's rather pathetic. Little Sis loves her dearly, and the burlap dress was exchanged for prettier clothes almost immediately. Little Sis was game for a photo shoot, though. Little Miss No Name reminds us of The Little Match Girl, from the Hans Christian Andersen story. Especially if you see her in her original box. (Scroll down on this post at Modern Kiddo - look at the box!) We didn't have a lot of snow to work with, but we made do. A little campy of us, I know. She makes such a sweet little waif. And don't worry - Little Sis wrapped her in a blanket as soon as we were done taking pictures. 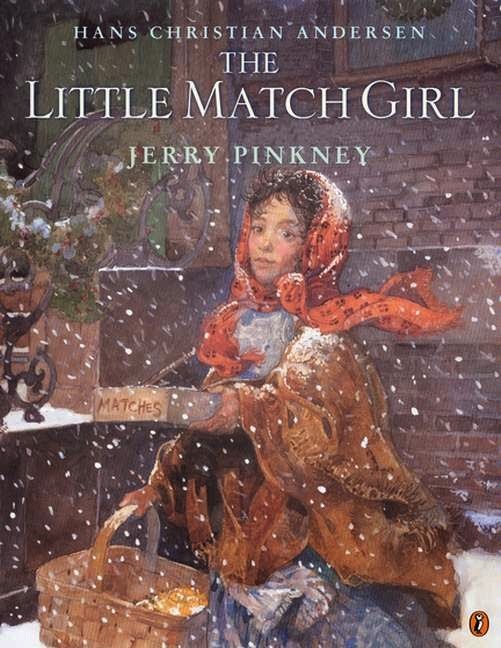 "The Little Match Girl" is such a sad tale. I know many parents shy away from it, as its ending is just too much. [If you have never read the original, click here.] I first read it to Big Sis several years ago, when we checked out The Annotated Hans Christian Andersen from the library. Andersen did not see the ending as tragic, by the way. 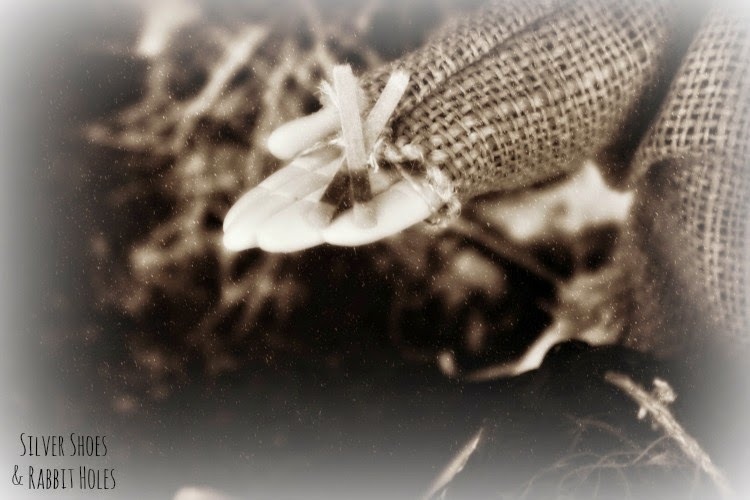 Read the last annotation on the tale at SurLaLune Fairy Tales. I use the story as a way of teaching compassion. For a gorgeously illustrated picture book version, I must recommend the one by the great Jerry Pinkney. [He talks about it here.] The setting is more American than Danish, and the crowds of people filling the pages make the invisibility of the little girl all the more heartbreaking. My daughters love to watch old movies and cartoons, as most of you know. Here is the first film version, a British silent called The Little Match Seller, from 1902. This animated short from Columbia/Screen Gems was released in 1937. It was nominated for an Academy Award, losing to Disney's The Old Mill. Little Sis loves this cartoon, by the way. Her daddy will leave the room if it comes on the TV. And here is the 1954 live-action version by Castle Films. If we'd had more snow over Christmas, I might have put together this post then. It's a bit depressing for a Christmas tale, of course, but that is when it's set. I don't know that I've ever read this one, though I know I've heard the title before. Thanks for the link to the story... it was so sad, yet there was a beauty to the ending with the little girl's grandmother coming to take her to heaven. That was Andersen's idea. Little Sis loves the angel at the end of the old cartoon version. It's her favorite part. Wow, what a great post! 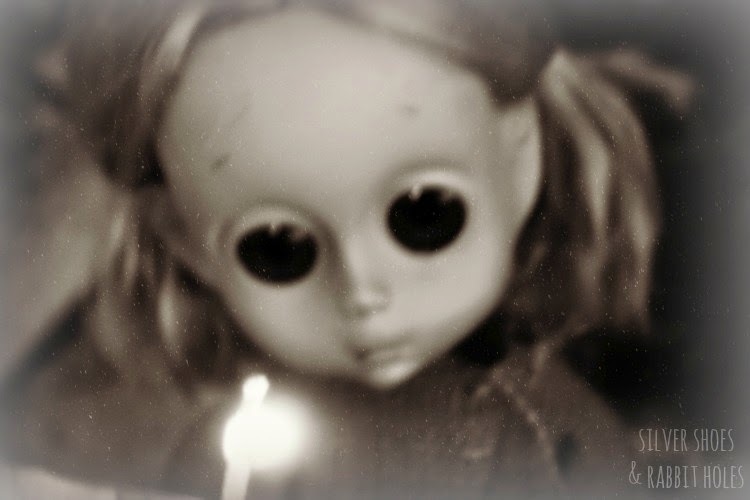 i love the little match girl -and I should say I 've shed quite a lot of tears for the little match girl over the years. The book looks great and thanks for the videos, I'll watch them all. I also like this musical version of the story https://www.youtube.com/watch?v=YNwmoOkzIrI and I think I've watched a disney short movie long ago.. Little Miss No Name looks perfect for the part!! how'd i miss this? 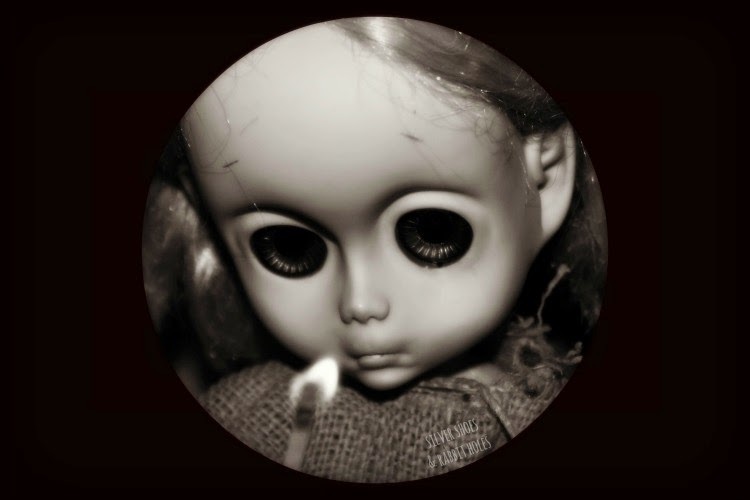 LOVE your creeeeeeepy dolly pix! ha ha ha! she's darling. I still haven't read this one to my son yet. I think I should though as it does teaches a lesson in compassion and humility. But even I find the ending way too sad. I dislike reading this story often when I was a child because it would make inevitably cry. 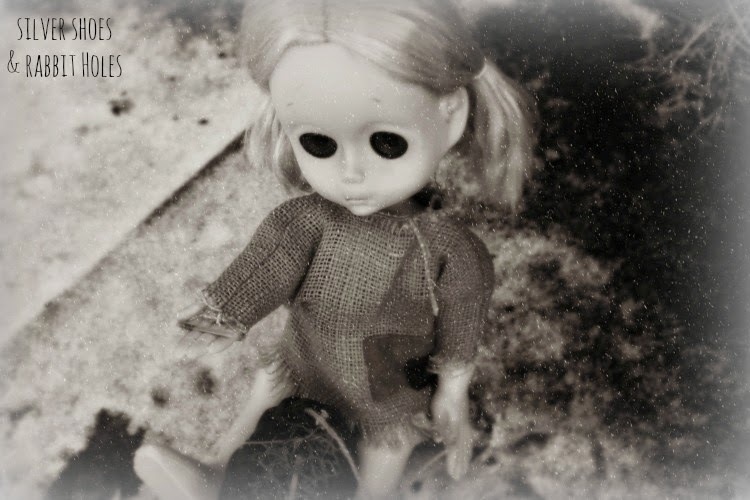 Your doll is really the perfect model for this tale. Oh, it is very sad. This story, "The Little Mermaid," and "The Steadfast Tin Soldier" are among the reasons many people truly dislike Hans Christian Andersen, I've learned.